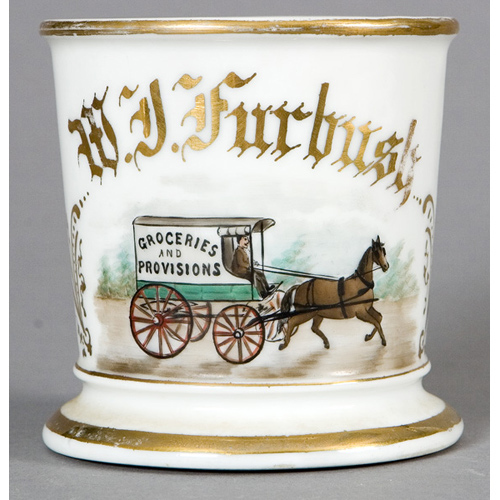 Teamster’s Occupational Shaving Mug, Grocers Wagon, porcelain mug with hand-painted polychrome scene of a man driving a horse-drawn wagon marked Groceries and Provisions. 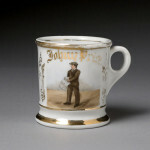 Gilt framing design and name W.J. 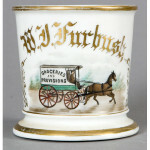 Furbusk. Marked on bottom France.